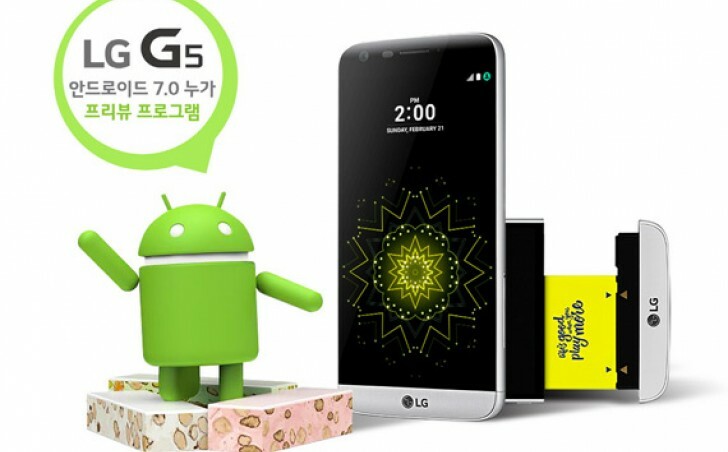 Inline with the expectations, LG has announced that it has started rolling out the Android 7.0 Nougat update to its G5 smartphone. The update is currently hitting units in the company's home country of South Korea, while other regions including the Americas and Asia will get it "in the weeks to come." The company notes that more information related to the update will be locally available in the weeks ahead. "At LG, we know our customers want the best, most up-to-date mobile experience," the company said in a press release. "Getting software updates to our users faster than the competition is our way of demonstrating that LG is committed to supporting our products and customers to ensure they have a positive ownership experience." is this update for the regular g5 or is for the g5 se too? Lg G5 android 7.0 avaible in india? Confirmed: This phone is getting a Nougat update.